Garden Grove Police Department's Traffic Unit will conduct a DUI/Driver’s License Checkpoint on Friday, August 25, 2017, between the hours of 9:00 p.m. and 3:00 a.m.
DUI Checkpoints, like the one occurring on Friday, August 25, are placed in locations based on collision statistics and frequency of DUI arrests, affording the greatest opportunity for achieving drunk and drugged driving deterrence. Locations are chosen with safety considerations for the officers and the public. The deterrent effect of high-visibility enforcement, using both DUI Checkpoints and DUI Saturation Patrols, has proven to lower the number of persons killed and injured in alcohol or drug impaired crashes. Research shows that crashes involving an impaired driver can be reduced by up to 20% when well-publicized proactive DUI operations are conducted routinely. Studies of California drivers have shown that 30% of drivers in fatal crashes had one or more drugs in their systems. A study of active drivers showed more tested positive for drugs that may impair driving (14%) than did for alcohol (7.3%). Of the drugs, marijuana was most prevalent, at 7.4%, slightly more than alcohol. Everyone should be mindful that if you’re taking medication , whether prescription or over-the-counter, drinking even small amounts of alcohol can greatly intensify the impairment affects. In 2014, alcohol involved collisions in California led to 1,155 deaths and nearly 24,000 serious injuries, because someone failed to designate a sober driver. Over the course of the past three years Garden Grove Police Department officers have investigated 486 DUI collisions, which have claimed eight lives and resulted in another 252 injuries. Drivers caught driving impaired can expect the impact of a DUI arrest to include jail time, fines, fees, DUI classes, license suspensions, and other expenses that can exceed $10,000, not to mention the embarrassment when friends and family find out. Drivers are encouraged to download the Designated Driver VIP, or “DDVIP,” free mobile app for Android or iPhone. The DDVIP app helps find nearby bars and restaurants that feature free incentives for the designated sober driver, from free non-alcoholic drinks to free appetizers and more. The feature-packed app even has social media tie-ins and even a tab for the non-DD to call Uber, Lyft, or Curb. This checkpoint is being conducted in coordination with the City of Garden Grove's Accident Reduction Team (ART). 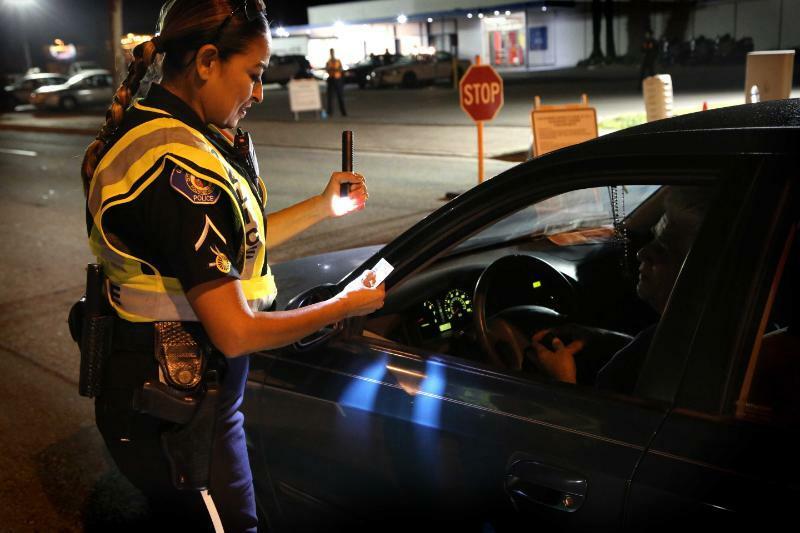 Funding for this checkpoint is provided to the Garden Grove Police Department by a grant from the California Office of Traffic Safety, through the National Highway Traffic Safety Administration, reminding everyone to ‘Report Drunk Drivers – Call 9-1- 1’.